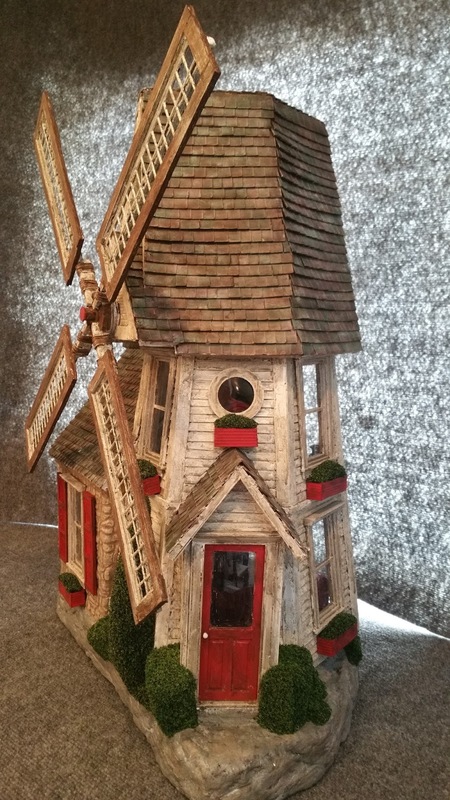 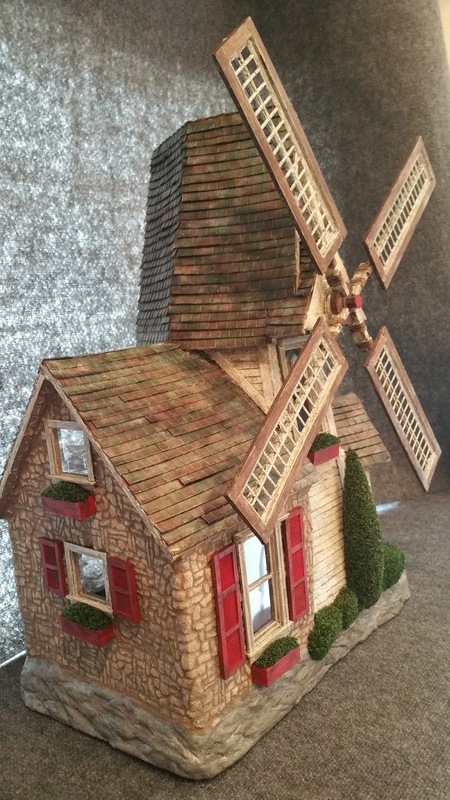 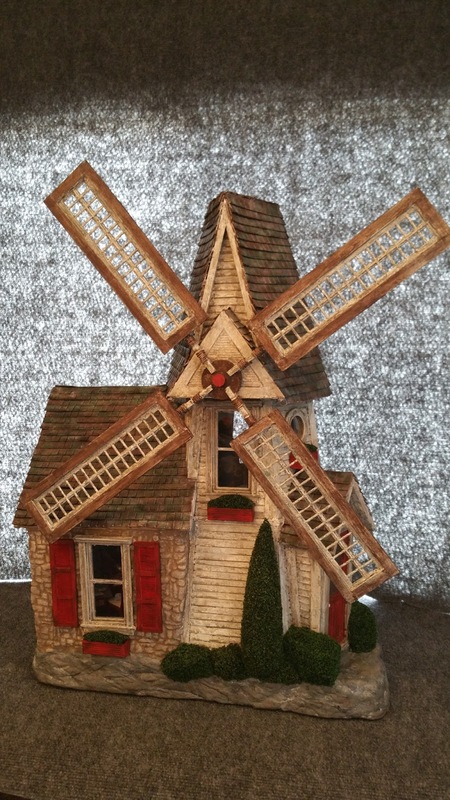 Hi Everyone, This week i was inspired by a picture of a Holland Windmill House that I found a picture of from the internet, which i have the inspiration picture below. 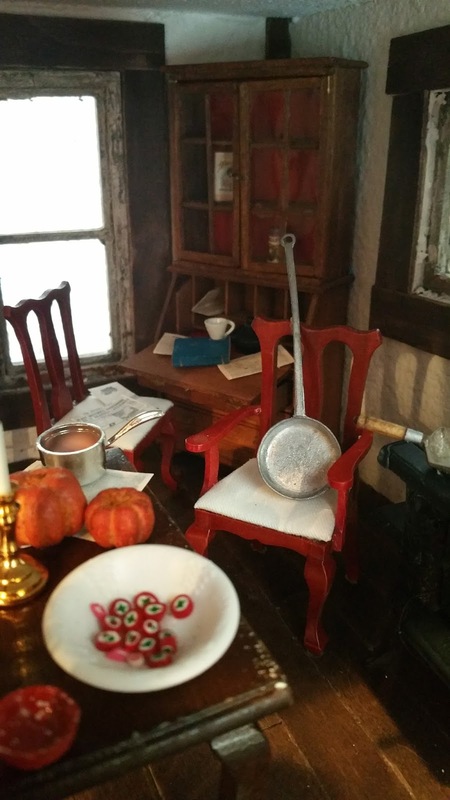 I just had to try and create it. I used a ton of paper mache and lots of thick cardboard strips i cut, along with lots and lots of glues. I spent 1 whole day just trying to figure out how to create the windmill and the mechanical part of the windmill with searching the garage junk drawers and tool boxes for washers and nuts and etc. 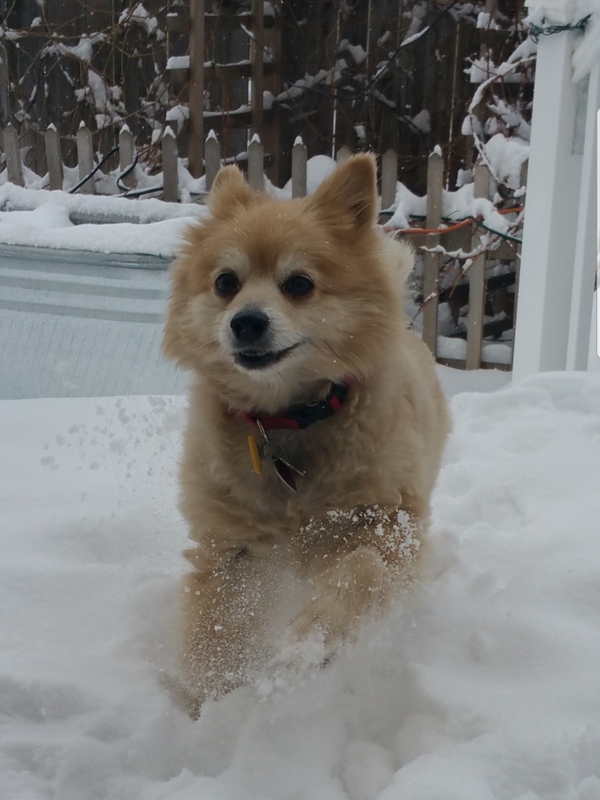 I hope you all enjoy. In the process of cooking dinner and need to run. Have a Wonderful Month! 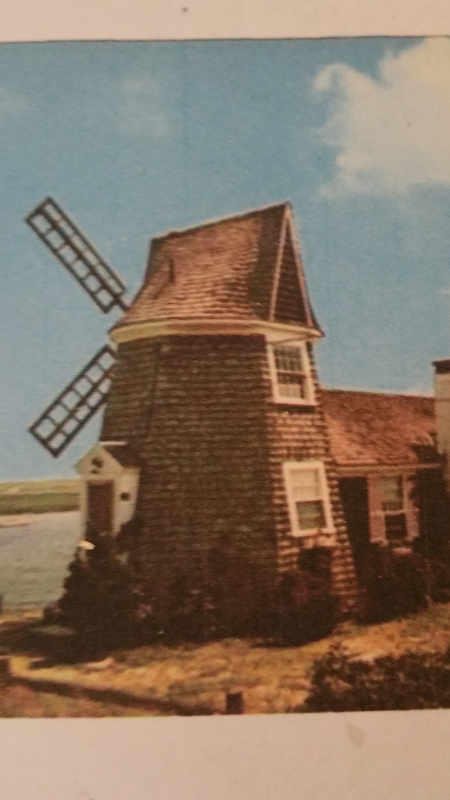 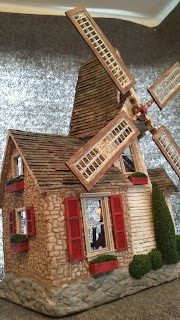 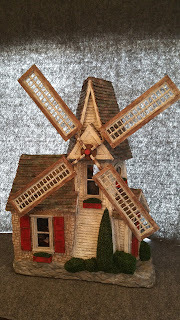 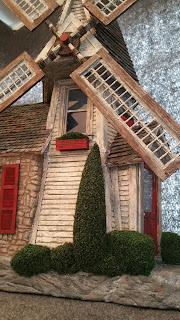 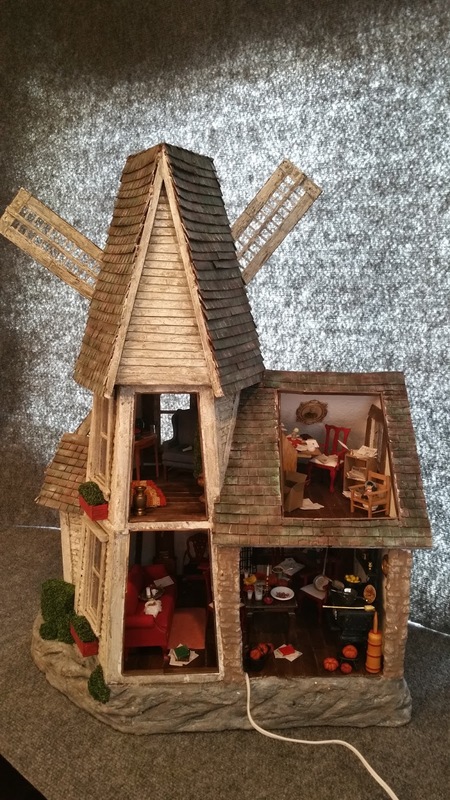 The Inspiration Picture of the Holland Windmill House that inspired me to try and create a version of it. 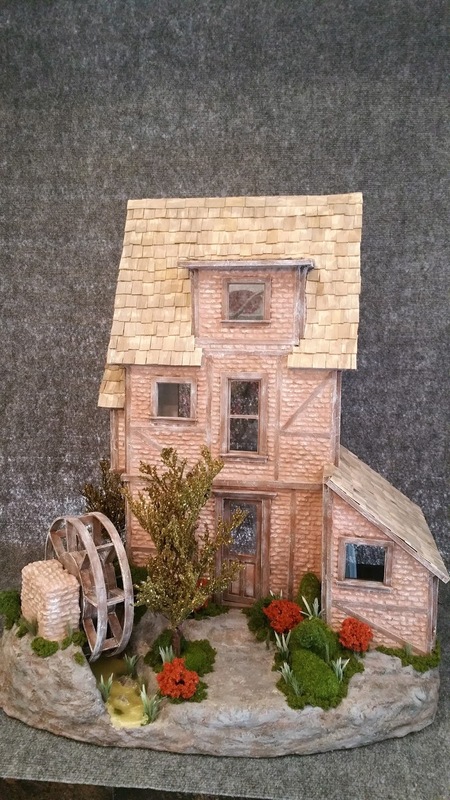 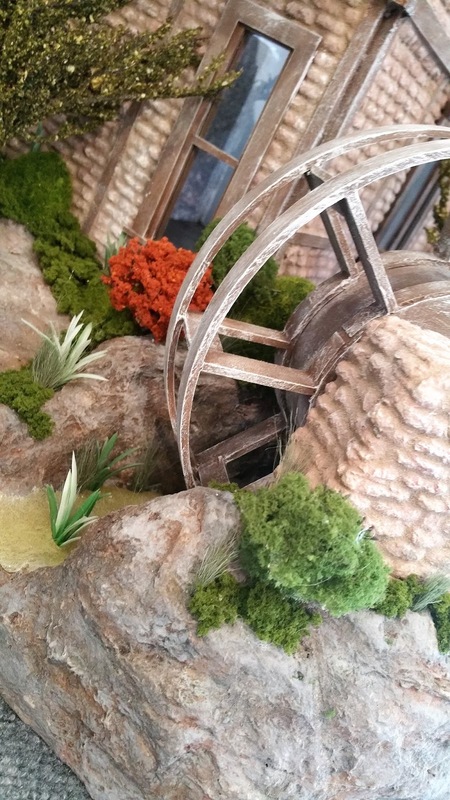 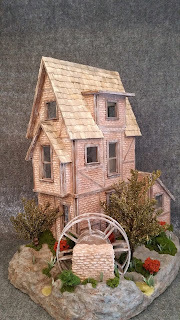 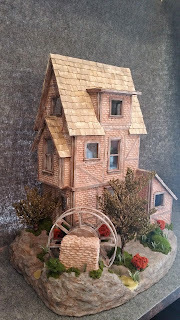 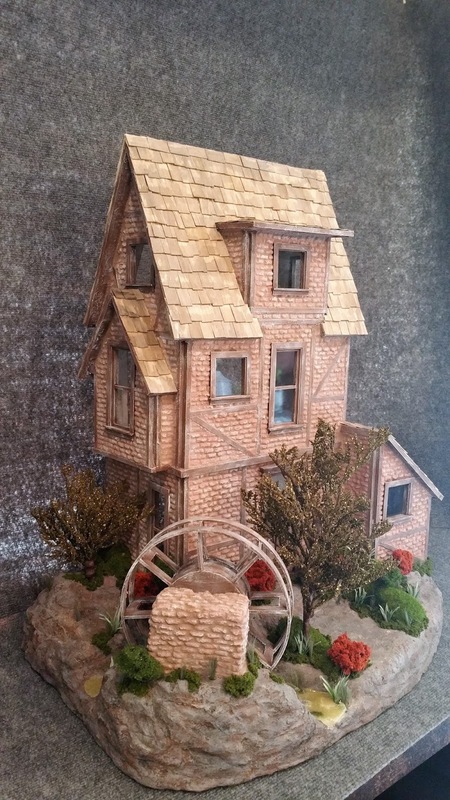 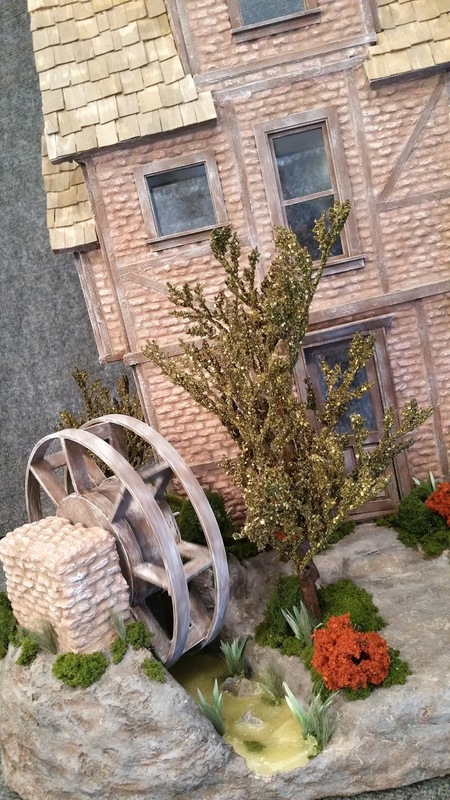 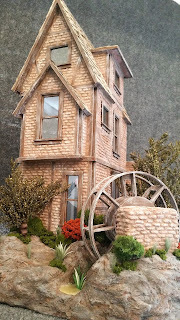 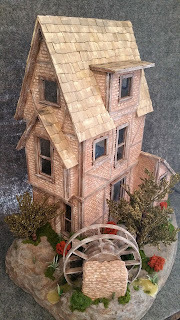 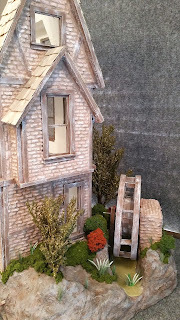 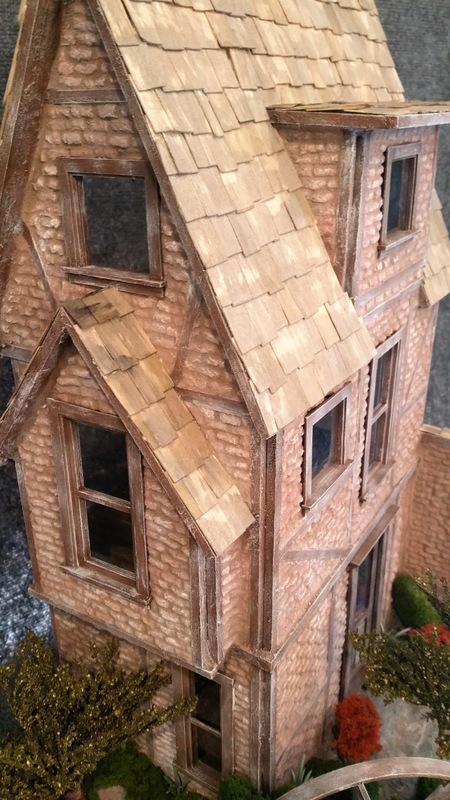 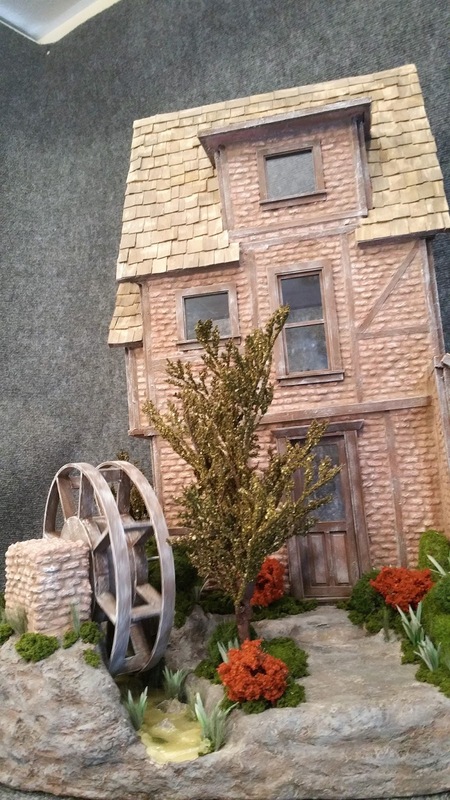 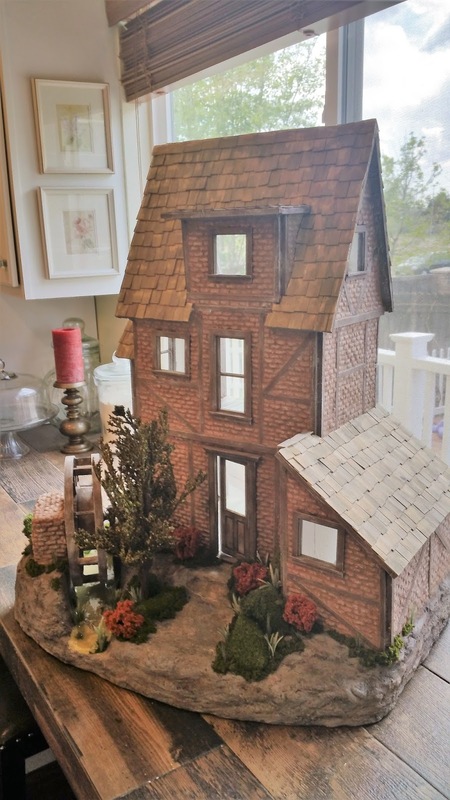 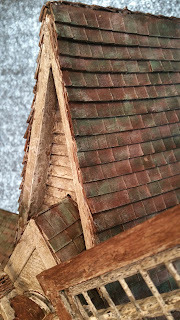 Happy April Everyone, I became very bored working from home this week and just had to keep my hands busy and I wanted to create another type of Watermill House. I think I spent about 50 hours on this house taking my time, but I would end up staying up late since it became addictive process I couldn't stop working on, while of course watching movies while I built it at the coffee table in the living room. I created one last year that was a hit at the sales show and sold almost immediately so I wanted to create another one but more unique than the first one I created. 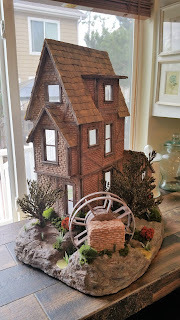 I was trying to go for a 200 year old brick look, which I do think my brick technique is getting better as I go, and I really like spending the extra time grouting in between the paper bricks. 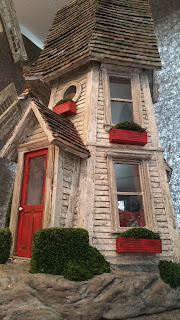 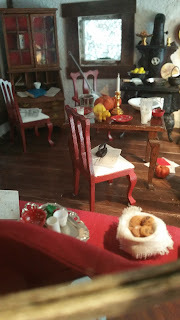 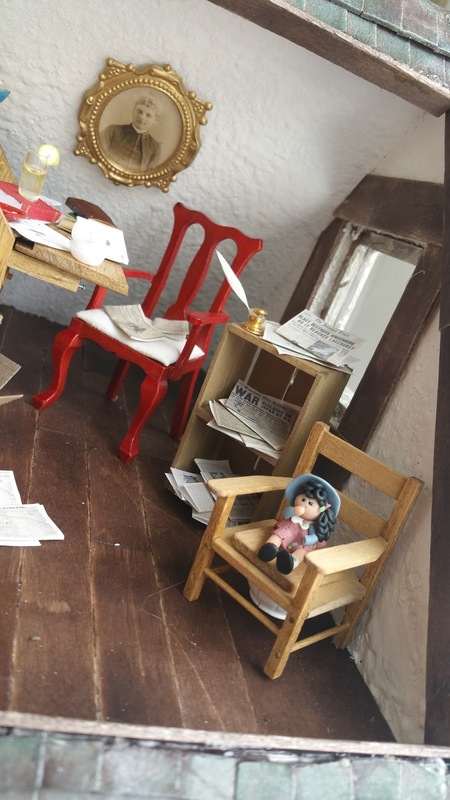 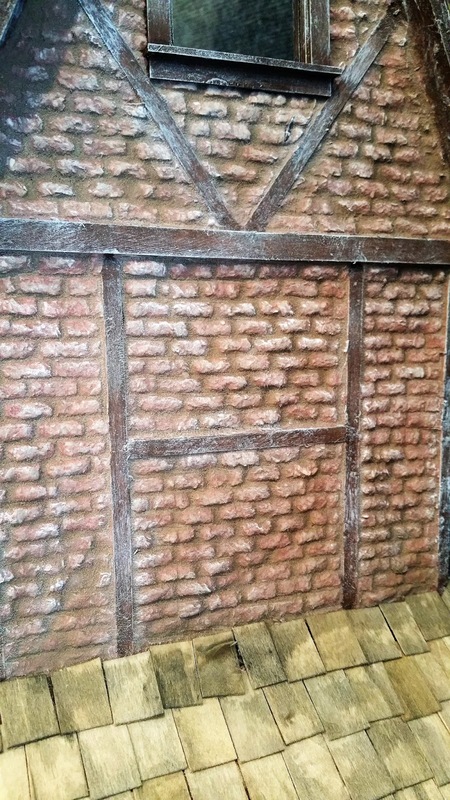 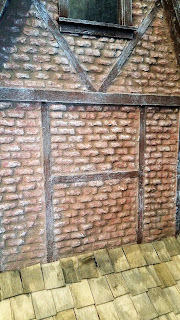 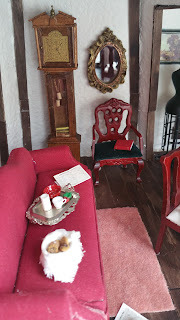 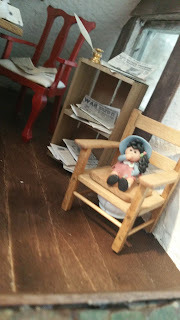 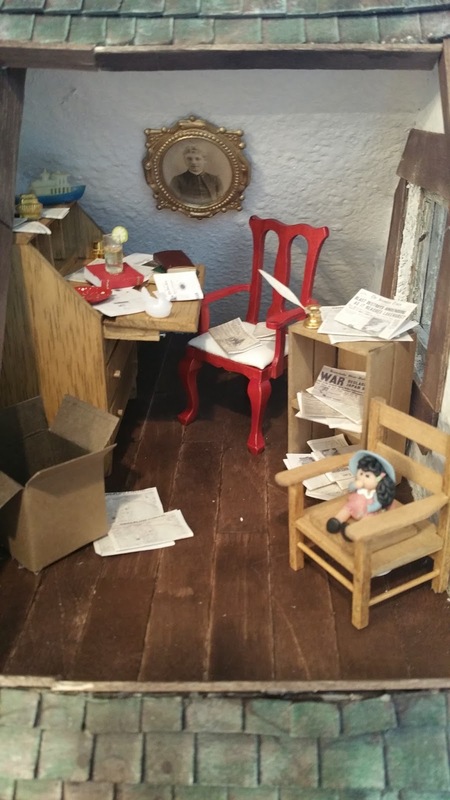 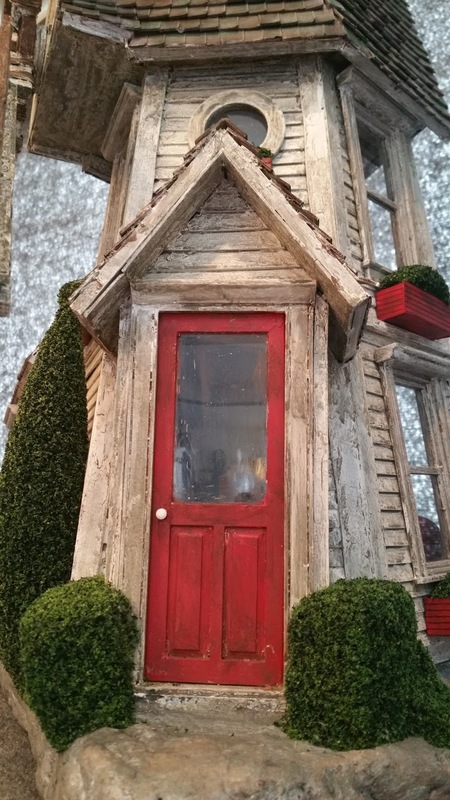 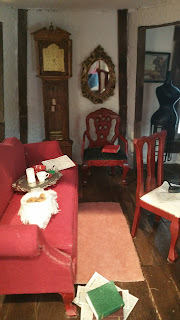 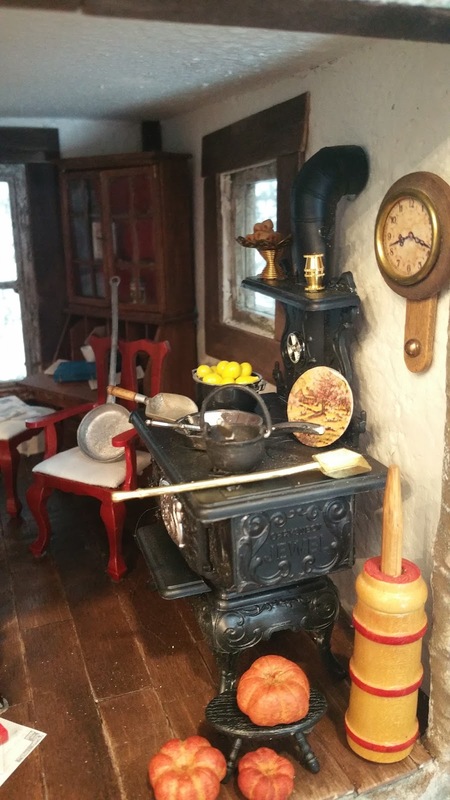 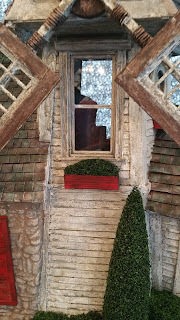 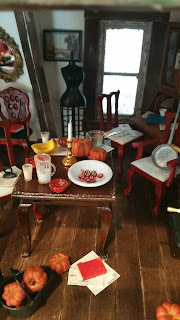 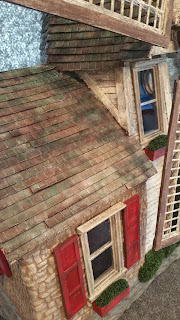 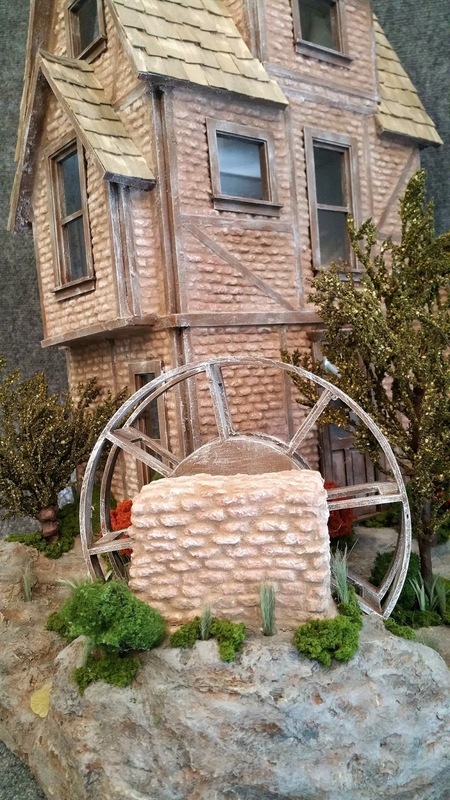 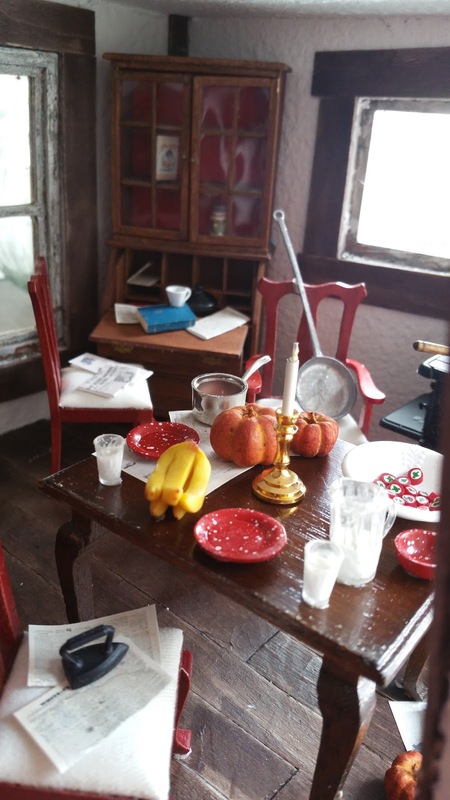 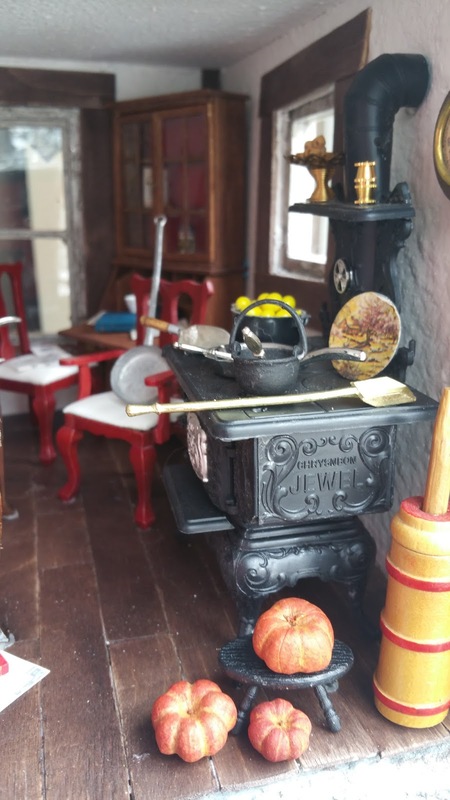 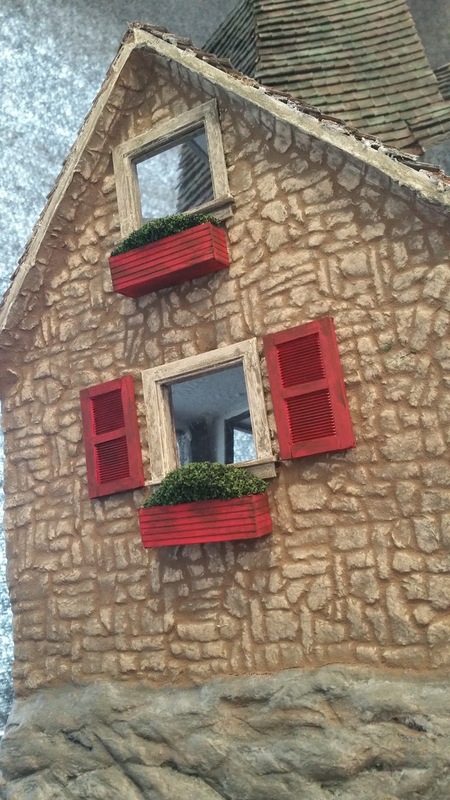 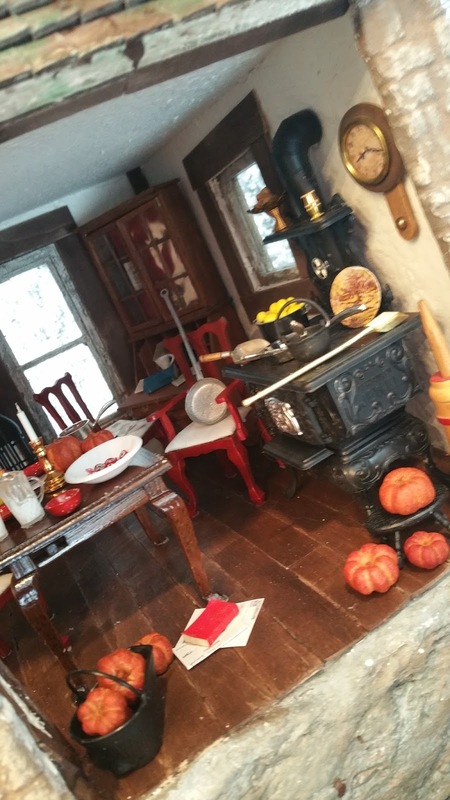 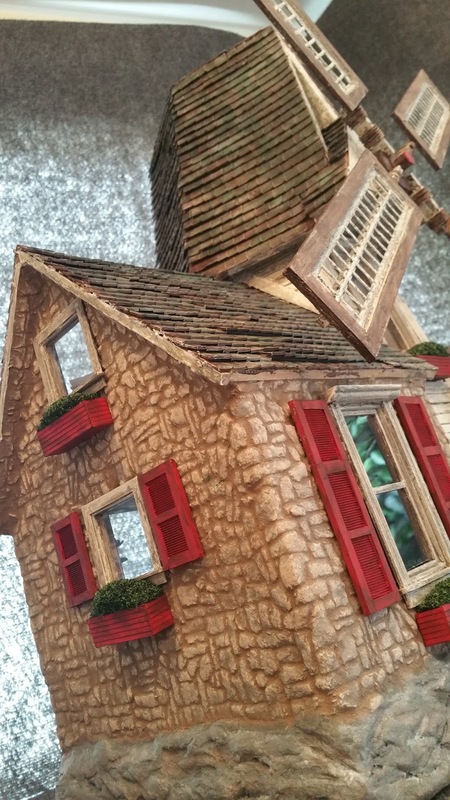 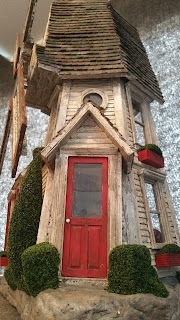 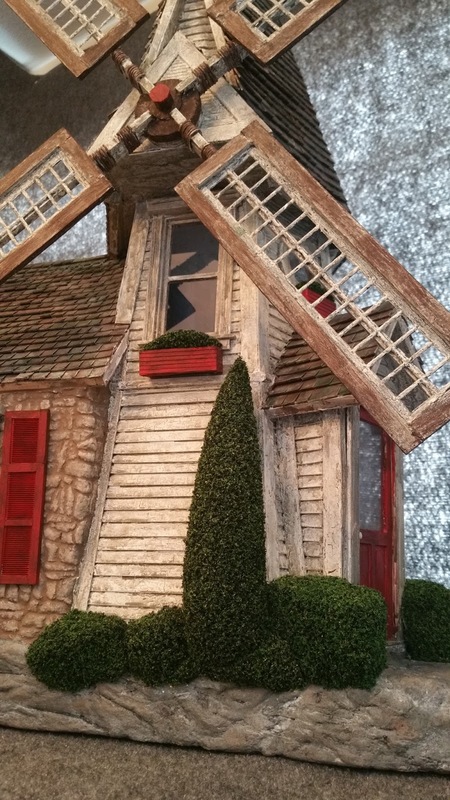 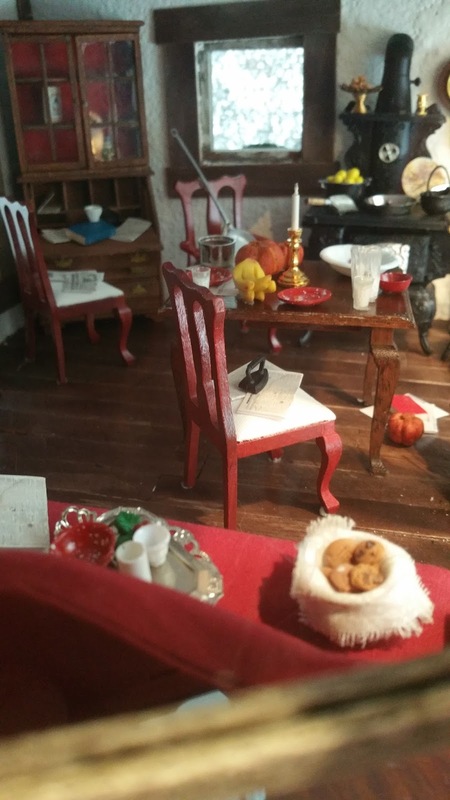 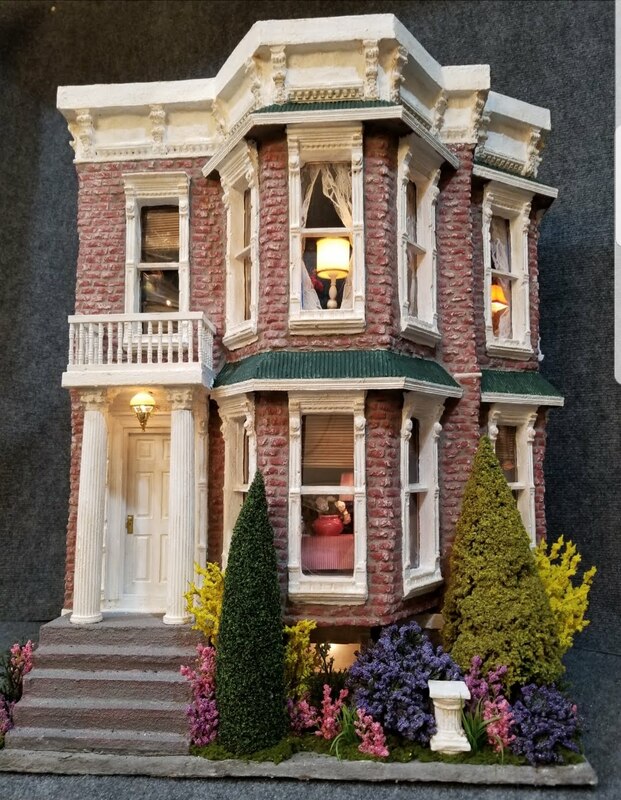 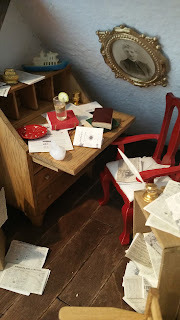 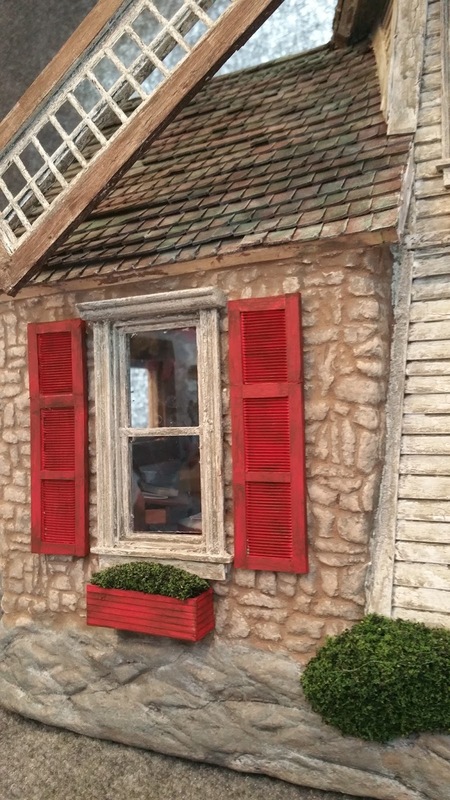 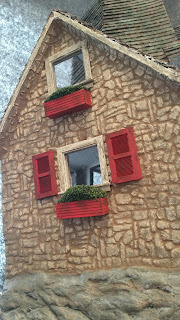 This house is about 90 percent paper mache and in areas is between 1/2 to 1 inch thick. 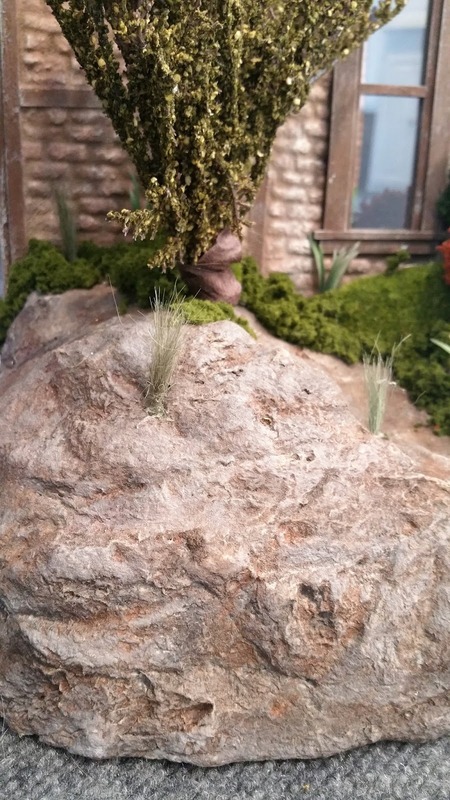 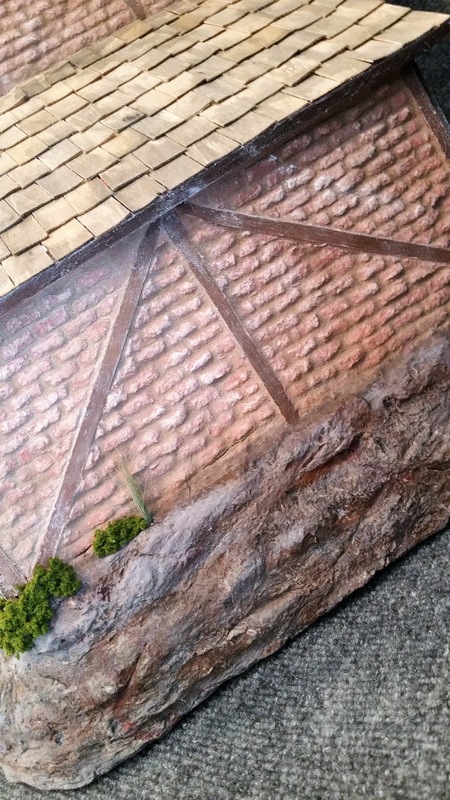 I tried my best at still teaching myself how to paint the stone base around the house and up close I think I achieved a pretty realistic looking stone or rock look. I got to admit creating out of paper mache is almost addictive and meditative at the same time. I am usually covered in the wet paper mache as I sculp it around and smooth it when I'm working. 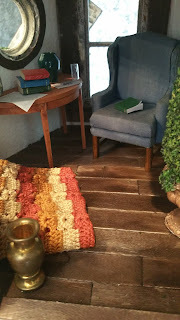 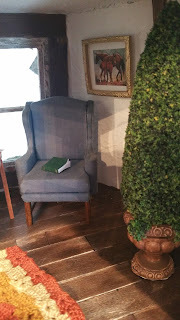 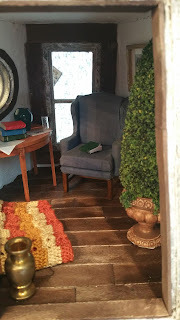 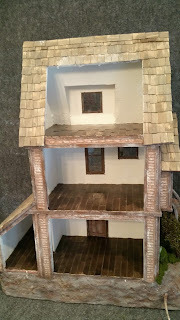 I think I am going to leave the interior un-furnished since I spent double the time on building the house and thus it will lower the cost of the house at the next sales show. 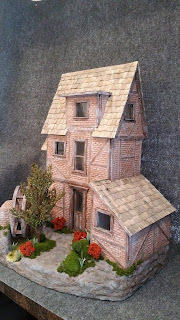 I hope you all enjoy and I hope to inspire others with my creations. 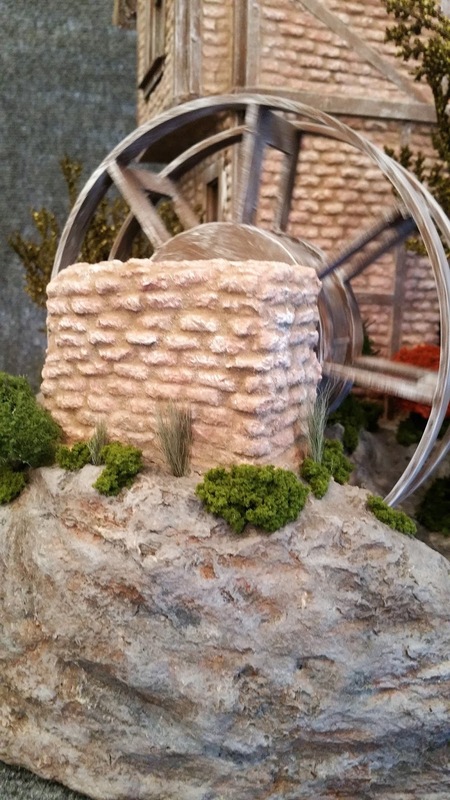 I tried many times to download the video of the house, but I cant seem to download it onto the blog, in which it shows the motorized water wheel turning. 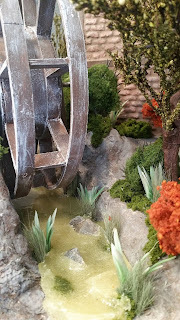 I did have issues though trying to create the water in the creek, I used a new medium of plastic pellets you heat and melt to make the water but heated them too hot and the water turned yellow.. darn directions say if the plastic pellets are over heated it will turn brown, . I took off the low heat as soon as it all melted, but it was my first time using the plastic pellet water stuff I bought from the Train Store... I think I will have to find an easier way to do water in the future. But ill just pretend its a dirty muddy creek water. 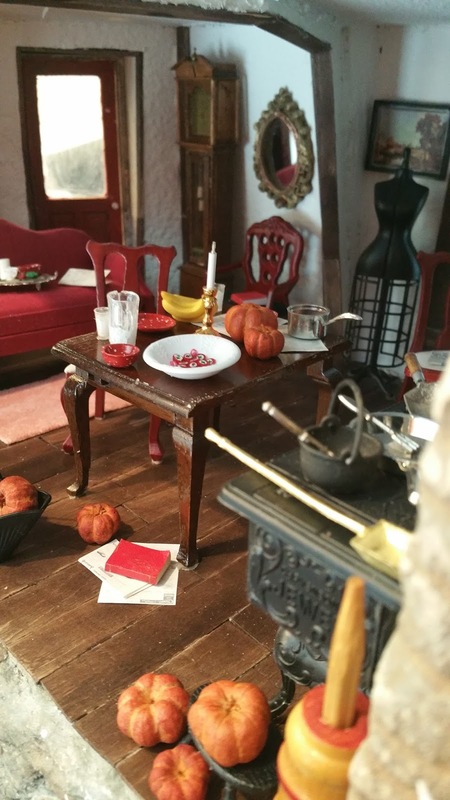 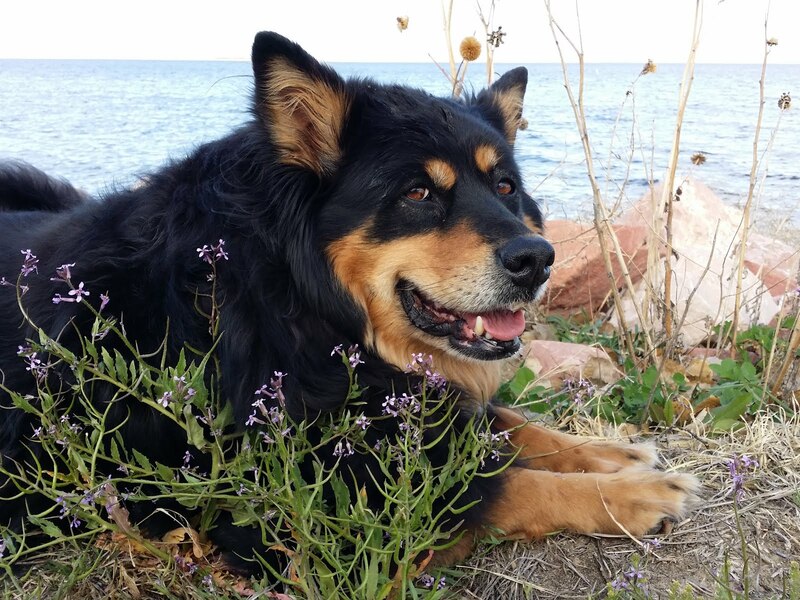 Have a Wonderful Month Everyone!